You are here: Home / Car Accident / How Dangerous is Aggressive Driving? In our fast paced lives, we often get impatient especially while driving. However, aggressive driving is often the cause of automobile accidents. According to Missouri State Highway Patrol and Missouri Department of Transportation, aggressive driving is a major cause behind many motor vehicle accidents that occur in Missouri. The state agencies have been making significant efforts to curb the menace of aggressive driving and educating the drivers in order to prevent accidents. A person is said to be driving aggressively when he/she is endangering another person or their property. Our St. Louis car accident attorneys feel that it is important for everyone to understand that aggressive driving can be far more dangerous than we can even imagine. It is extremely important to stay calm and attentive while behind the wheel. How do I know if I am an aggressive driver? Express your frustration and anger at other drivers? Indulge in distracted driving by reading, eating, driving, texting, or speaking on the phone? Fail to follow the 3-second following distance rule? Run the red light thinking that you can make it? Frequently drive faster than the weather, toad, and traffic conditions permit? Try to stay ahead of traffic at all costs? Tailgating, speeding, and aggressive lane changes are the leading cause of car accidents not just in Missouri, but the entire United States. 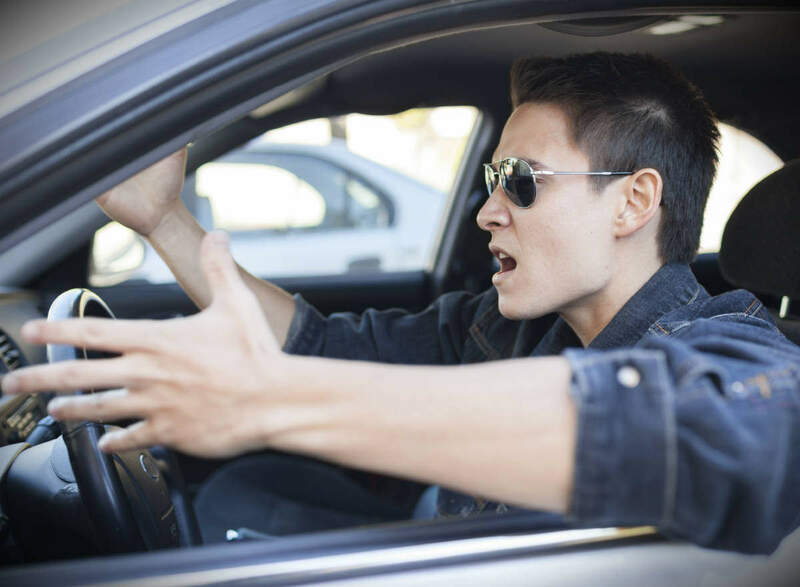 Even though most of us understand that these acts of aggressiveness can land us in trouble, aggressive driving is still a leading cause of accidents in the country. In order to prevent automobile accidents, drivers must identify when they are being aggressive, and correct themselves. They should plan ahead and should recognize the warning signs. The simplest way to avoid aggressive driving is to leave a little early so that you are not in a hurry to reach your destination. The extra time you have in hand will allow you to stay calm, and drive responsibly. Another important thing that drivers need to bear in mind is that have to stay focused on the road and the other motor vehicles they are sharing the road with. Remember, a few seconds of distraction can cause a life changing accident. If you think you are becoming anxious, just relax and concentrate. Put on some soothing music, or do some deep breathing. Don’t let the anxiety or aggressiveness take you over. Last but not the least; drive within speed limit, and follow all traffic rules. If you have been injured in an accident caused by an aggressive driver call (314) 361-4242 to speak with a St. Louis car wreck lawyer. Your consultation is always free and you only play us if we recover compensation for you.